| What requirements must a passport have to be valid for ESTA? Passports required by the DHS (Department of Homeland Security, American immigration) are optical or electronic. What is the difference? Unlike the electronic passport, the machine-readable passport has no recognition chip. Passports printed in Italy after October 26, 2006 are electronic passports, namely geared with a digital chip containing the biometric data of the passport holder. However, if you have a passport issued prior to that date, this may be valid in the following cases. – If your passport has been renewed or extended before October 26, 2005, it does not need to be modified. 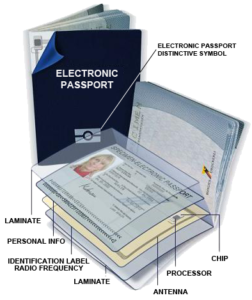 – Or an integrated chip containing the data of the holder, thus becoming an electronic passport. 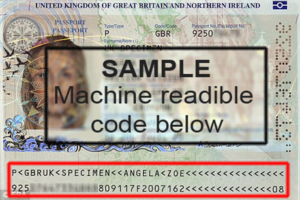 – Travelers of other countries participating in the VWP may possess a machine-readable passport, therefore without a chip. In order to recognize if you have a machine-readable passport or not, you can check your personal data page where this type of passport has two lines of text with numbers, letters, and Chevron (<<) in lime. If you still have any doubts on the type of passport you have, you can always visit the Customs and Border Protection website, whereby providing the passport number and the identification number of a personal document, you can find out the type of passport you possess. Lewis was not certain that his passport would respect the safety standards imposed by the program travel without a visa, so that he could enter the US with an ESTA. Our specialist Frank explained to him that if his passport was geared with optical reading, this would have been enough to travel with a travel authorization. Also, Frank told Lewis where to find the code that gets scanned when controls are carried out on the passport. Once Lewis traced this code, he replenished and proceeded with requesting his authorization online. Eugenie went in honeymoon in the US. 9 years ago she visited Los Angeles with her husband. She and her spouse Jeff decided to return to the United States this year and visit the east coast, so by traveling to Miami. While applying for the Visa Waiver Program, Eugenie found that his passport was neither electronic nor geared with optical reading. In order to avoid requiring a formal type B Visa from the US embassy in Milan, Eugenie opted for renewing her passport. All new passports are regulated in accordance with the VWP security measures, therefore Eugenie can travel under the program travel without visa too.